Abstract—The main intent of the current research is to design a training program based on integration between RSS 2.0 as a model of ubiquitous learning (u-learning) and social media networks, namely the online social networking service Facebook as a model of social communication. The research tests also the effectiveness of the proposed program. The researchers made use of Facebook as an element within the system of social communication networks. The developmental method—used in instructional technology research—was employed to develop the training program. Moreover, the researchers used the experimental method while administering the program and assessing its effectiveness via a sample derived from general-education teachers from Qassim Educational District, K.S.A. The sample was purposely selected. It amounted to 28 teachers in post. Statistical analyses of the data confirmed the first as well as the second hypotheses. The researchers offered a range of recommendations, some of which emphasized the use of modern technology that came as a net result of the Web 2.0 revolution in developing the educational process. Index Terms—Ubiquitous learning, u-learning, RSS 2.00, electronic training, applied research, social media. Mohammad A. Amasha is with the Faculty of Specific Education, Computer Department, Domyat University, Egypt Computer Department, Qassim University Saudi Arabia, Saudi Arabia (e-mail: mw_amasha@yahoo.com). Salem Alkhalaf is with College of Science and Arts, Computer Department, Qassim University Alrass City, Saudi Arabia (e-mail: s.alkhalaf@qu.edu.sa). 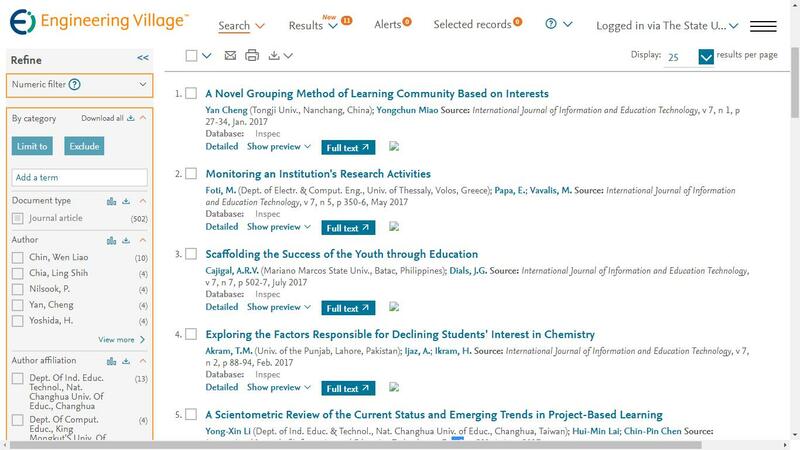 Cite: Mohammad A. Amasha and Salem Alkhalaf, "Using RSS 2.00 as a Model for u-Learning to Develop e-Training in Saudi Arabia," International Journal of Information and Education Technology vol. 6, no. 7, pp. 516-521, 2016.